This is a major Tourist Places Around Guruvayur Kerala. Located at about 3 km away from the Western Gate of the Guruvayoor temple, this sprawling mansion with luxurious courtyards was established from the ruins of the Punathur. The palace houses 65 elephants, all offered by the devotees. These elephants are forbidden to work anywhere else, except in the service of the Lord during temple processions and ceremonies. Many of the star elephants have a huge fan-following. Located in the Guruvayoor town, Guruvayur Sree Krishna Temple is one of the most sacred pilgrim hubs in Kerala. Shrouded in spiritual aura and mystery, Guruvayoor Temple is a historic temple and a significant holy centre of the state. The presiding deity in the Guruvayoor Temple is Mahavishnu, who is worshipped in form of Balakrishna. Lord Mahavishnu is adorned with four hands each carrying a conch, a mace, a discus and a lotus and is also known by the name of Unnikrishnan. Garlanded with the Tulasi or Basil Garland and pearl necklace, the lord appears in full radiance blessing the devotees. According to a legend, the temple was created by the preceptors of the Gods, Guru and God of winds, Vayu. 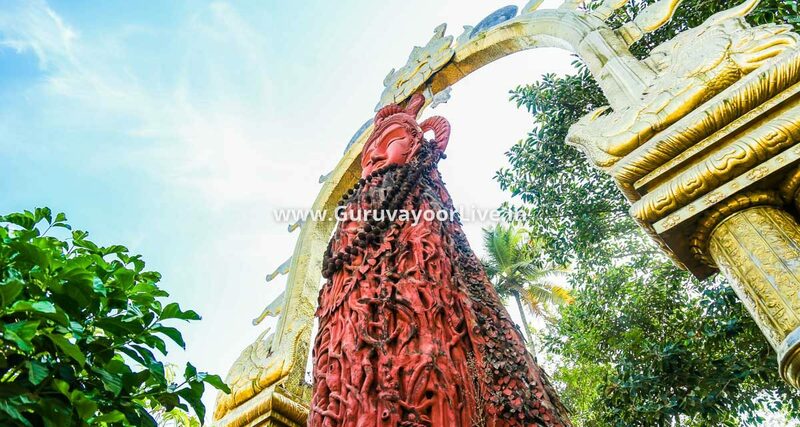 The astonishing idol of Lord Unnikrishnan Guruvayur is made out of a rare mixture called Padala Anjanam instead of stone or metal which was more commonplace in the olden times. Simple in its construction, the spiritual charm of this place is unmatched and has devotees flocking to it from all over the country. However, this temple is open only to the believers of Hindu faith, and there might be long queues at the entrance but completely worth as you enter the temple complex. Famous for its large murals, this temple dedicated to Lord Shiva adds to the lore of Guruvayoor. It is believed that Lord Shiva was the original owner of Guruvayur temple and decided to relocate to the current site to place the Vishnu idol in Guruvayur temple. Hence, every pilgrim completes their pilgrimage by visiting this temple located just 500 meters from Guruvayoor temple housing the shrines of Lord Shiva and Lord Vishnu. Founded by renowned master of mural painting, Shri Mammiyoor Krishnankutty, this institute is situated at the eastern gate of the Guruvayur temple. Established in the year 1989, the institute is managed by Guruvayur Devaswom. The place also offers a five-year diploma in Kerala style mural painting, aesthetics, sculpture and art, taught in the traditional Gurukula system. 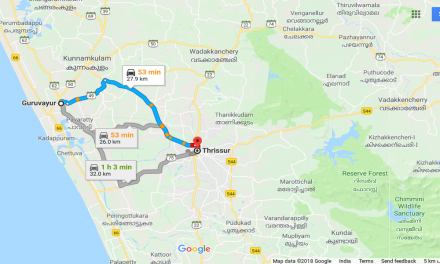 Situated 40 km away from the Guruvayoor temple lays a 100-acre Vrindavanam Gokulam Estate at Vengad in Malapuram District under the possession of Guruvayur Devaswom. This is one of the largest dairy farms in Kerala with 550 cows. The estate also cultivates coconut, cashew, palm and other vegetation as cash crops and also feeds the temple elephants and cattle. In the premises of Sree Valsam guest house complex, a huge statue of Kesavan- the now deceased majestic Elephant King has been erected. Also, one can see the statue of Mara-Prabhu; a creative interpretation of Lord Krishna as a trunk of giant banyan tree. 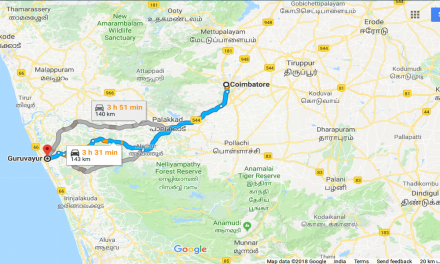 Located within a kilometre from Guruvayoor temple, Parthasarathy Temple houses the shrine of Lord Krishna in the form of an episode from Mahabharata where the Lord narrates the Gita to Arjuna atop a gigantic chariot. Dedicated to Sri Chamundeswari; an incarnation of Lord Durga, this centuries-old temple is very close to Guruvayoor. There is a separate shrine situated in the premises devoted to Thazhthukavu Bhagavathy. Thiru Venkatachalapathy Temple is the abode of Lord Balaji; an incarnation of Lord Vishnu. The temple has been built by the Telugu devotees of the Lord. The other deities installed in the temple complex are Navagraha, Shiva in the form of Linga; Ganesha, and Bhagavathi. Preserved by the Archeological Survey of India, this temple is believed to have been built by Perumthachan. The word Harikanya translates to ‘the virgin form of Lord Vishnu’. Situated very close to the town, Vallabhatta Kalari is one of the most visited ancient martial centres. It is a great place to learn a different form of martial arts which dates back many centuries and is a delight to watch. Located on the East Gate, Devaswom Museum houses a huge collection of antiques, temple materials, mural paintings, musical instruments, the jewellery of renowned elephants and also stores valuable offerings to the temple. Famous religious poets like Melapthur and Poonthanam’s remains are also put on display. Also, it showcases adornments used in folk arts like Krishnanattam and Kathakali. 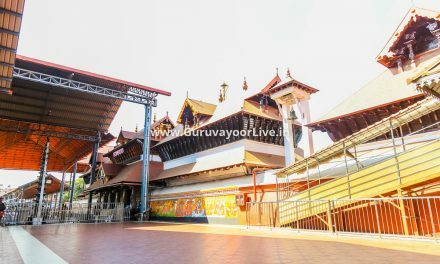 The Chowalloor Shiva Temple is located at a distance of 3 km from Guruvayur Temple. It is also known as Mahadeva Temple and is considered to be thousands of years old. The temple is considered to be one of the 108 ‘Shivalayas’ or Abodes of Shiva in Kerala that were consecrated by Parasurama, the legendary founder of Kerala and the sixth incarnation of Vishnu. The presiding deity of the temple is Lord Shiva with a special Shivalinga. The noteworthy feature is that while the idol of Lord Shiva faces the west, the idol of his consort, Parvati faces the east. The position of the idols symbolizes that the blessings of the gods are bestowed on the whole world. At the entrance of the temple, an image of Thiruvambadi Krishna is situated in a shrine.